I have a customer who is interested in finding a 2013 ZO6, do you have any in stock and if so, would you provide a VIN? We are one of the top Corvette Dealers in the world! 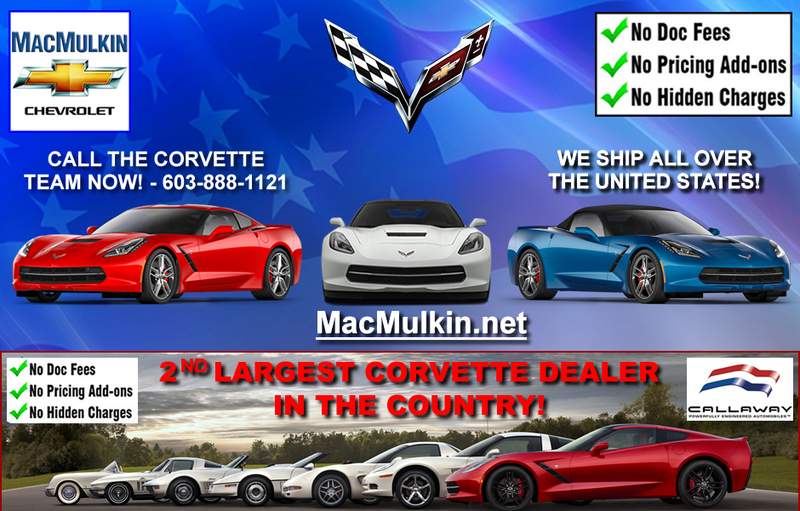 MacMulkin Corvette does NOT charge any admin or doc fees. The price we quote is the price you pay. Call 603-888-1121 or Contact Us today!